Once upon a time, I thought every seam that was sewn, by hand or machine, had to be finished. By that I mean it could have no raw edges. Raveling? Horrors! Unthinkable. What would happen when the garment was worn? When it was washed? And so I zig-zagged, overcast, or French-seamed every seam so thoroughly that I might as well have used Super Glue. I also assumed, when I first started to explore the history of hand sewing, that French seams must have been part of the basic sewing repertoire. After all, they didn’t have Super Glue back then, did they? However, as I studied antique clothing I quickly learned that all seams weren’t finished. The only seams to match my hermetically sealed standard were felled, like those in shirts and shifts, and felling was used because underwear (or family linen, as they called it) had to withstand tortures that would have impressed Vlad the Impaler. After scrutinizing sewing techniques in antique clothing, it also dawned on me that French seams didn’t show up in anything older than late-nineteenth century. Hmm. 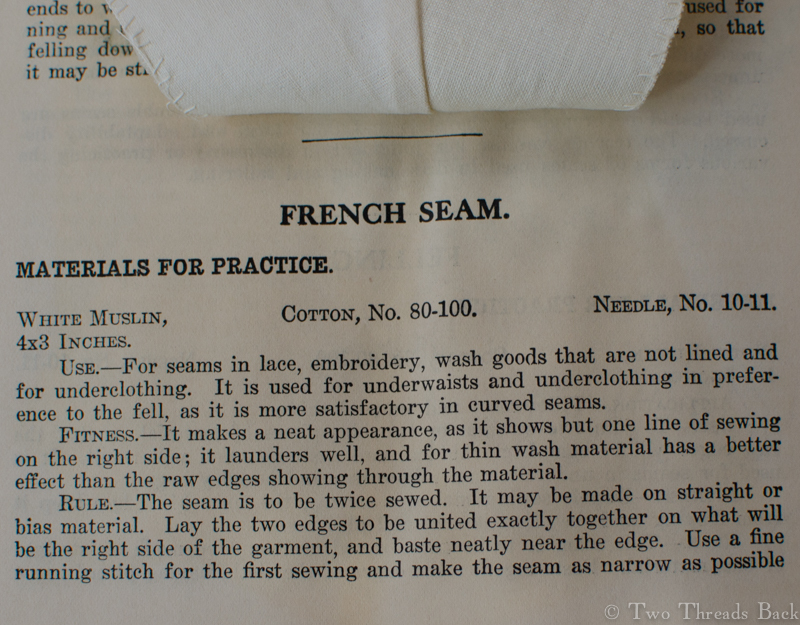 So when did French seams become common? 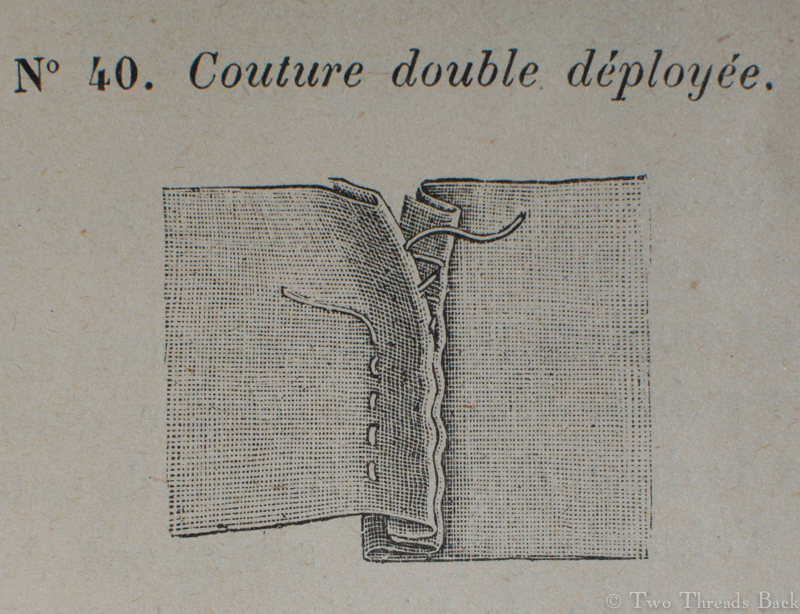 I don’t know for sure, but out of all my sewing instruction books, the earliest (definite) explanation of the method I could find appears in a French dressmaking manual, circa 1860s, as shown above. Ah, French! Perhaps it was used earlier in particular garments, by particular seamstresses, or in particular countries. My experience and resources are pretty limited, so if I come across more information on this stitch, I’ll certainly update. 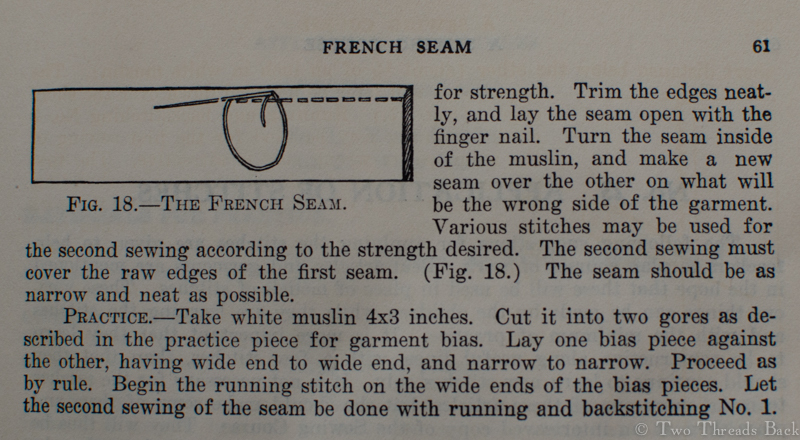 But by the early 1900s, the French seam was common enough to appear in most sewing manuals. It was well-suited to the ubiquitous sewing machine, sheer waists and dresses yearned for neat seams, and it was soooo easy to do. Or teach. Or learn. And since efficiency was so very, very modern … pourquoi pas? 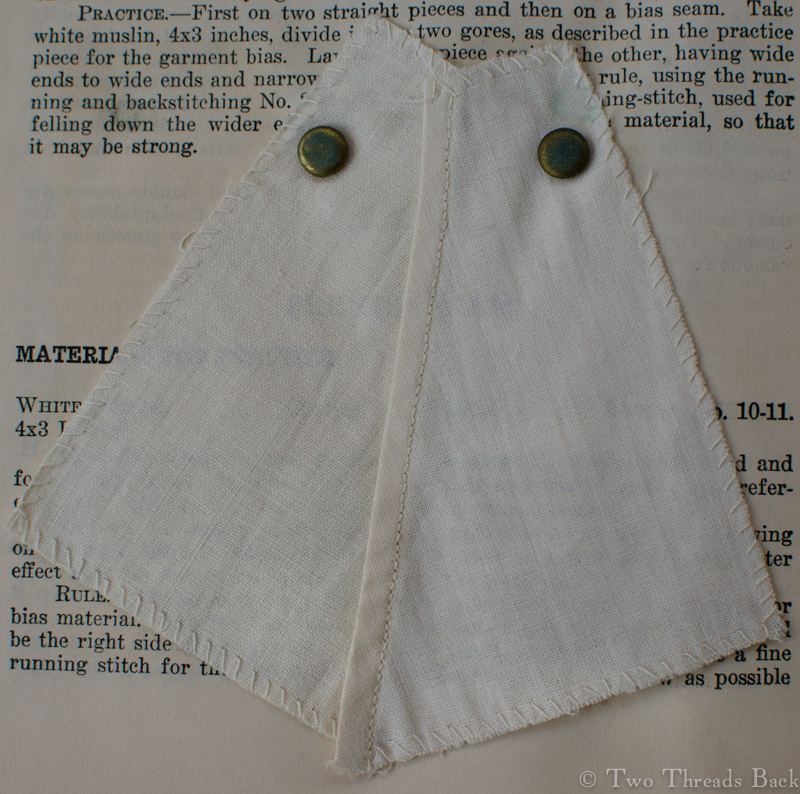 This sample by Miss Beulah H., early 1900s, shows a bias-cut French seam.